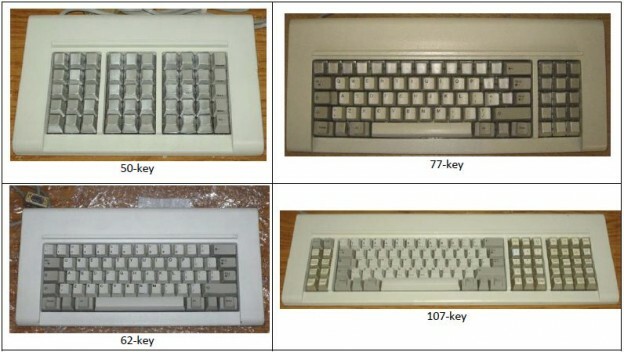 This is a 122-key IBM 3180 terminal keyboard. This entry was posted in IBM Buckling Spring Keyboards and tagged buckling spring, IBM, keyboards, Model F, non-PC keyboards on 2018-04-06 by kishy. This entry was posted in IBM Buckling Spring Keyboards and tagged buckling spring, IBM, keyboards, Model F, non-PC keyboards, unsaver on 2018-04-06 by kishy. This entry was posted in IBM Buckling Spring Keyboards and tagged buckling spring, IBM, keyboards, Model M, non-PC keyboards on 2018-04-06 by kishy. This entry was posted in IBM 4704, IBM Buckling Spring Keyboards and tagged 4704, buckling spring, IBM, Kishsaver, non-PC keyboards on 2014-07-08 by kishy.